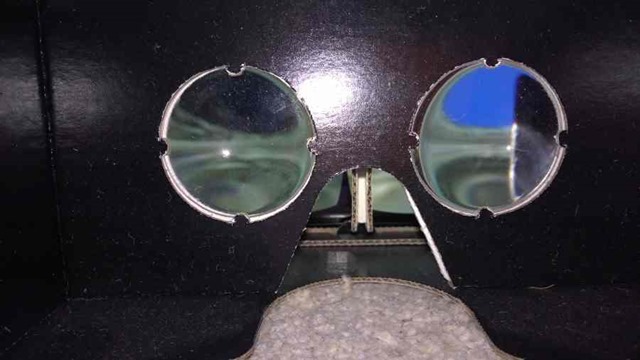 As mentioned in the previous post Windows Phone Mobile VR (Gyro Head Tracking in Unity3D) I will look at stereoscopic rendering and removing the lens distortion effect so that I can run the demo inside my ViSR headset. 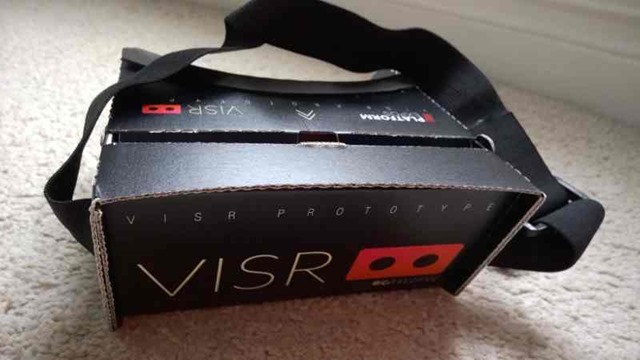 See the kickstarter campaign here https://www.kickstarter.com/projects/1122924030/visr-virtual-reality/description . 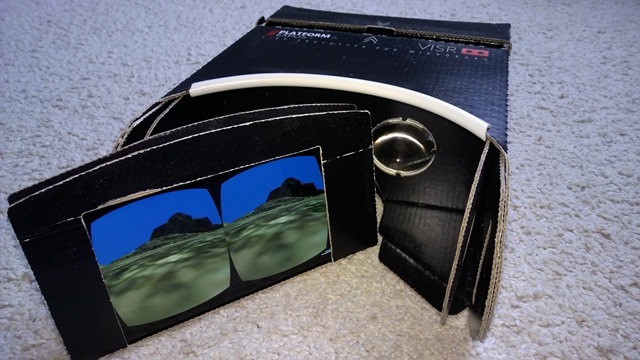 This is a great mobile vr headset – definitely worth backing the kickstarter if you are interested in mobile vr. The two projections will be created using ‘stereoscopic rendering’ and barrel distortion will be used to correct the lens distortion. First, I downloaded the ALPS unity package and added it to the scene from https://github.com/peted70/head-tracking-unity (from my previous post). 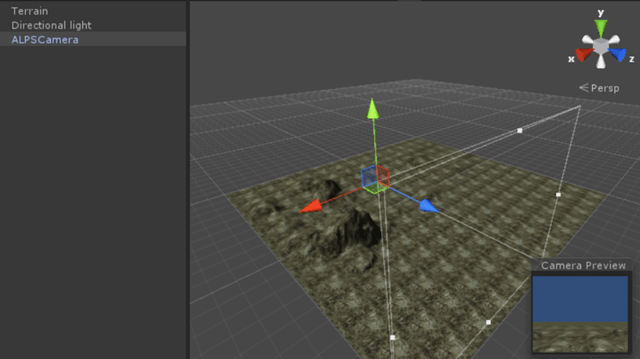 I created a new git branch ‘stereoscopic’ and added the ALPS unity package to the Unity project. At this point the project won’t compile for windows phone so the next step is to fix this up;. mainly this consisted of #ifdefs and stubbing things out. 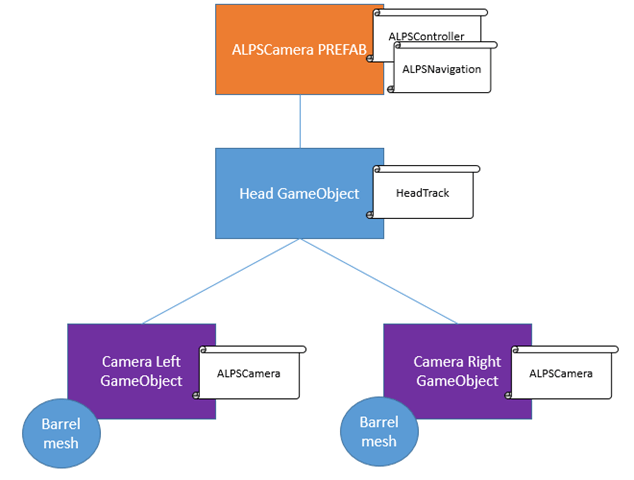 The Unity package contains a prefab called ALPSCamera which contains everything required to generate the scene hierarchy required for the stereoscopic rendering and barrel distortion correction at run time. So I dropped it into a scene with the same terrain that I used before. (see http://en.wikipedia.org/wiki/Distortion_(optics) for a description of barrel distortion and chromatic aberration). A shader is used on the textures to correct the chromatic aberration. This provides translation for the viewpoint and uses a scheme which moves dependent on the angle of the head. I used an on-screen button on the phone in my previous post but obviously this would not be available when using a headset. I’d like to explore using a bluetooth connection to another phone or gamepad to provide the movement. 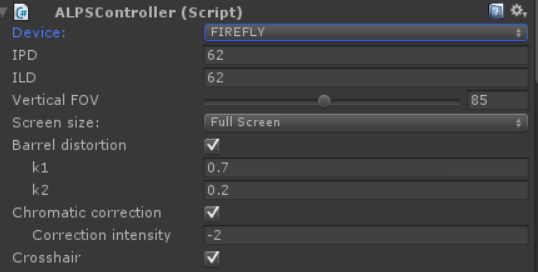 This is the standard Unity Character Controller and provides the code for actually moving the viewpoint. The sample Unity project is on Github here https://github.com/peted70/head-tracking-unity in the ‘stereoscopic’ branch.